Creating an account is easy and free of charge. Just enter your e-mailadress and username and you can start creating your DailyMe. There are several categories of news that you can choose and add to your personal profile, such as ‘World news’, ‘U.S. news’, ‘Elections’, ‘Money’, ‘Technology’, ‘Sports’, ‘Science’, ‘Health’, ‘Entertainment’ and ‘Lifestyle’. All of these categories are divided into subcategories, from which you can also choose. Elections, for example is divided into two subcategories: John McCain and Barack Obama. Technology is divided into the subcategories Computer & Software, Gadgets, Gaming and Internet. 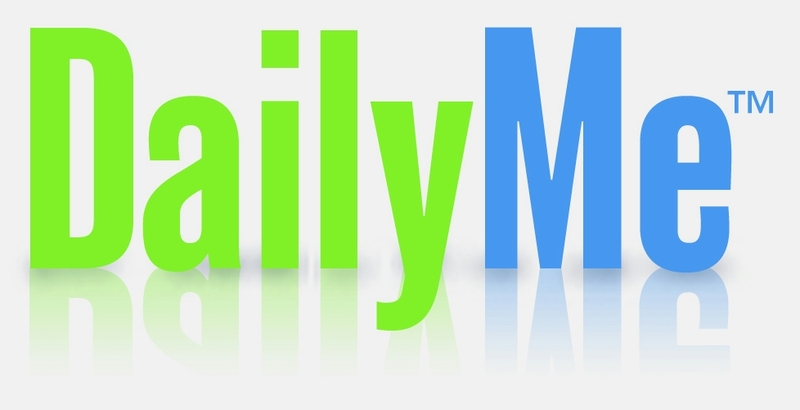 Once you’ve created your DailyMe – with only the news you want to read- you can choose in what format you’d like your news brought to you; whether this be via e-mail (with or without a pdf attachment) or your mobile phone. But should a website for personalized news really be viewed as something that causes absence of shared experiences? Somehow this seems a bit drastic to me. I can’t help but think that people have always chosen their own content. Even before most of us had Internet acces, we could choose whether or not to read a newspaper article or to watch news reports. Of course, in this day and age it is even easier to select and divide. But does this really mean we deprive ourselves from the social glue that keeps us all together? And what will happen if the stickyness has gone? I think it is important to keep society’s best interest in mind and really consider what consequences certain Web 2.0 applications may have. But I also think we should not get ahead of ourselves and realize personalized (news)websites can be a huge benefit. With the objective of bringing custom news to those who want and seek it, DailyMe can be considered a news sharing experience, that might even glue some of us back together. Thank you for sharing your thoughts about the DailyMe service. Like you, I believe strongly that a successful personalized news experience will inform people better, and as a result, make us better citizens — of wherever. One of the chief reasons -I think- why younger news consumers have grown disengaged of traditional media is because they have to sort through too much information that is of no interest to them. In addition, the news discovery function is growing fragmented (hence more democratic) and moving away from one editor and into the hands of multiple editors / users. Lastly, like you, I believe news democracy has always existed giving us the right to skip an uninteresting article, no matter how prominently it was promoted. Unlike earlier aggregators, DailyMe offers thousands of licensed sources to ensure we provide many perspectives on any given topic. If anything -at least we hope- DailyMe will strengthen our social glue by informing us better, by allowing us to discover news for our peers, and promoting discussion and debate.